EVERYTHING GOD COMMANDED THE PRIESTHOOD IS THE WAY WE SHOULD CONDUCT OUR LIVES. Shalom. Our teaching this morning from The Torah, The Law of Moses is from Leviticus 8.1-13. And the Title of our message is; EVERYTHING GOD COMMANDED THE PRIESTHOOD IS THE WAY WE SHOULD CONDUCT OUR LIVES. And with that said, let’s read Leviticus 8.1-13. This Chapter explains the consecration or the dedication of Aaron and his sons to the Priesthood to serve The LORD GOD and to minister to Him. Months earlier, The LORD had informed Moses that Aaron and his sons were to become the Priests of The LORD GOD of Israel. This was explained in Exodus Chapters 28 and 29. In those Chapters, The LORD described the details of this ceremony. Now in this Chapter of Leviticus, the dedication ceremony takes place. The LORD spoke to Moses Face to face in the Tabernacle in the Holy of Holies from above the Mercy Seat from between the two Cherubim which are upon the Ark of The Covenant, saying, Take Aaron and his sons with him, and the garments, and the anointing oil, and a young bull for the sin offering. And two rams and a basket of matzah. Matzah in Hebrew is unleavened bread. And Moses gathered the Congregation of the Children of Israel together, some three million people, to the door of the Tabernacle of the Congregation. And Moses did as The LORD commanded him. And three million Jewish People were gathered together to the door of the Tabernacle. And Moses said to the Congregation, this is the thing which The LORD commanded to be done. VERSE 6 This is the beginning of Baptism. Judaism and much of Messianic Judaism calls this washing with water MEEK’VEH or MEEK’VEH IMMERSION. And as you well know, Christianity calls this ceremony Baptism. So why does The LORD command the Priesthood to be washed with water? And why are those who believe in the Jewish Messiah Yeshua required by GOD to be immersed in water, or Baptized? For the Priesthood, the washing with water was a ceremony signifying that their iniquities had been washed away thoroughly, and they were cleansed from their sins. Washing with water did not cleanse the Priests of their sins. They were cleansed of their sins by the sacrifice of a clean animal, without blemish, and the shedding of its blood for their atonement. And living their life by The Law of Moses. The animal sacrifices for atonement were held daily at the Tabernacle and Temple. The washing with water was a ceremony signifying that the Priests were purified of their sins. And repentance was and is required of GOD. The Believer in The Messiah Yeshua, you, me, and others are immersed in water, or Baptized for a sign that we are clean from all our sins because of our belief in Messiah Yeshua Who is our Atonement. And we also must repent of our sins. Sin is breaking The Law of Moses. 1 JOHN 3.4. Repentance is turning away from those sins and OBEYING GOD’S Law of Moses. (ZECHARIAH 13.1) The fountain of water is symbolically Yeshua The Messiah Who purifies us from all our sins by His Atonement on the cross. (JOHN 13.5) Messiah washed the disciples feet in obedience to Torah, The Law of Moses, by washing them with water. Thus the Believer in Messiah Yeshua, like the Priesthood, must have his or her sins forgiven. The Priesthood received atonement by the sacrifice of animals. Our Atonement is through the atoning death of The Messiah Yeshua. Then GOD requires us to be immersed in water, or Baptized signifying that we are cleansed of our sins. John the Baptizer, a Jewish man, was sent by The LORD to prepare the way of The LORD. He preached the Baptism of Repentance for the forgiveness of our sins. He prepared the way of The LORD for a people who believe in The Messiah Yeshua for their Atonement, and who repent of their sins by turning to GOD, walking in newness of life in obedience to Torah, The Law of Moses. LEVITICUS 8.7-13 The girdles were beautifully decorated belts of the ephod. The ephod was a garment of clothing worn by the Priests that was like an apron worn over their robe and coat. The breastplate was made of gold, blue, purple, and scarlet. The same materials as the ephod. It was four square, approximately 9 inches by 9 inches and folded. Twelve gems set in gold settings were placed in the front of the breastplate of four rows of three having the names of the twelve tribes of Israel engraved in the gem stones. The breastplate was attached to the ephod with braided chains of gold. And the Priest displayed the names of the children of Israel in the breastplate upon his heart when he went into the Sanctuary as a constant remembrance before The LORD. The urim and thummim were devices for obtaining GOD’S decisions on important questions on which human judgment was inadequate. And the urim and thummim were placed inside the breastplate. A mitre is like a turban, and it was placed on the High Priest’s head. And Moses put the golden plate, the holy crown on the High Priest’s mitre as The LORD commanded. I think of the Priest’s garments who were clothed with a coat and robe, and the ephod, and the beautifully decorated belt, and the breastplate that was worn in the front of the ephod, and the twelve gem stones with the names of the twelve tribes of Israel engraved in them. And inside the breastplate were the urim and thummim for obtaining GOD’S decisions on important questions. And the High Priest wore his mitre and holy crown of gold on his head. The garments of Salvation mean that we have Salvation, Deliverance, Victory, Prosperity and Safety. And we have all that with our faith in Messiah Yeshua Whose Hebrew Name Yeshua means Salvation. And the robe of righteousness means being clothed with righteousness. Righteousness is doing that which is Lawful and Right by living according to GOD’S Statutes, Laws and Commandments that are written in The Law of Moses. Every Law that is written in The Law of Moses was given to Moses by GOD, Face to face for everyone, Jewish or non-Jewish People to live by, to observe and obey. Those are Spiritual garments the Believer in The Messiah Yeshua should wear continuously, the garments of Salvation, and the robe of righteousness. EPHESIANS 6.10 Be strong in The LORD and in the power of His might. There is no better counsel than this, to be strong in The LORD and in the power of His might. And Paul explains how to be strong in The LORD. EPHESIANS 6.11 Put on the whole armor of GOD, GOD’S defense against the devil, so that you will be able to stand against the wiles of the devil. His tricks, his lies, and his surprise attacks. You and I need the whole armor of GOD to defend ourselves against the devil. And it is GOD Who does the defending. EPHESIANS 6.12 We don’t contend with flesh and blood, that is with human beings, but against demonic powers, and the rulers of darkness of this world. Against spiritual wickedness in high places. EPHESIANS 6.13 Therefore, Paul writes, put on the whole armor of GOD so that you will be able to stand against the devil in the evil day, and having DONE ALL, to stand. EPHESIANS 6.14 Here is Paul’s GODLY counsel. Take his words to heart. Stand in truth. Speaking words of truth always. Speaking the truth from your heart. For GOD hates lies. And be clothed with the breastplate of righteousness. Being clothed with the breastplate of righteousness is living your life by doing that which is Lawful and Right. Living your life according to all GOD’S Statutes that are written in The Law of Moses. Your armor of GOD must include truth and righteousness. EPHESIANS 6.15 And wear on your feet, as part of the whole armor of GOD, the preparation of the Gospel of Peace. Preparation means being prepared. Be prepared with the Gospel of Peace. Having Peace with GOD is accomplished through faith in Messiah Yeshua, giving you Atonement for the forgiveness of all your sins. And knowing and believing that Messiah Yeshua is GOD Almighty. He is The One Who forgives all your sins. And the Gospel of Peace includes repentance, turning from your sins of breaking His Law of Moses to obeying His Law of Moses. And the Gospel of Peace includes being immersed in water or Baptized in The Name of The Messiah Yeshua. And by doing all that GOD requires, having faith in Messiah Yeshua for atonement, and obeying His Torah, The Law of Moses, you will receive The Holy Spirit. ACTS 5.32. And you will never perish but have everlasting life. That is the Gospel of Peace that is part of the whole armor of GOD to resist the devil. EPHESIANS 6.17 And take the helmet of Salvation, and the sword of The Spirit which is The Word of GOD. Wearing the helmet of Salvatoin is being protected and clothed with GOD Almighty, The Messiah Yeshua Who will deliver you, and rescue you, and save you. He will help you, and give you the victory, and prosper you. How do we obtain the helmet of Salvation? By believing in Messiah Yeshua for the forgiveness of all your sins. And living in newness of life, obeying all GOD’S Laws that are written in The Law of Moses. And you will receive the helmet of Salvation. And the sword of The Spirit is The Word of GOD. A sword is a weapon that wounds and kills. Our sword is The Spirit Who is GOD Almighty, The Mighty GOD, The Everlasting Father. Our sword is The Word of GOD that we live by. Our sword is The Spirit Who is GOD Almighty, The Mighty GOD. Our sword that will destroy and defeat the wicked is living our life by every Word that proceeds out of the Mouth of GOD. And that includes His Law, The Law of Moses. And no ruler of darkness will ever be able to stand against you. EPHESIANS 6.18 And praying always with all prayer and supplication. Supplication is being humble in your prayers. Praying in The Spirit is having The Holy Spirit which you receive by faith in Messiah Yeshua, and obedience to His Torah, The Law of Moses. And watching, and being humble in all your prayers for GOD’S Saints, His Holy Ones. Thus being strong in The LORD, and in the power of His might is wearing the WHOLE armor of GOD to stand against the tricks, and the lies, and the attacks of the devil. And no ruler of darkness will ever be able to stand against you. That should be the clothing and armor of every Believer in The Messiah Yeshua. And our anointing that GOD has poured on our head is to serve The LORD GOD, Messiah Yeshua, living by every Word of GOD in The Bible. And that is how we should conduct our lives every day, living by every Word of GOD. Posted on January 26, 2015 March 24, 2015 Categories Shabbat MessageLeave a comment on EVERYTHING GOD COMMANDED THE PRIESTHOOD IS THE WAY WE SHOULD CONDUCT OUR LIVES. ELOHIM IS YESHUA THE MESSIAH, THE LORD GOD ALMIGHTY, THE ONE LORD. Shalom. Our teaching this morning from The Torah, The Law of Moses, is from Leviticus 8.1. And the title of our study is, ELOHIM IS YESHUA THE MESSIAH, THE LORD GOD ALMIGHTY, THE ONE LORD. And with that said, let’s read Leviticus 8.1. GOD calls Himself ELOHIM. ELOHIM is a Hebrew word that means gods. Yet there is ONLY ONE GOD, and that ONE GOD is YESHUA THE MESSIAH. And THE ONE GOD, YESHUA THE MESSIAH is many. He is mighty. And HE IS GOD. MESSIAH YESHUA is The GOD of Creation Who spoke the Creation into being, Who breathes the breath of Life into every living thing. YESHUA THE MESSIAH is The LORD GOD Almighty. He is The Father, The Son of GOD, The Messiah Yeshua, The Spirit, The Holy Spirit. All ONE AND THE SAME GOD. Messiah Yeshua is The LORD of Hosts, The Holy One of Israel, The mighty GOD, The Everlasting Father, The Prince of Peace. Messiah Yeshua is Yehovah. He is Jehovah or Yahwey. He is Elohim, Ha Shem (The Name). Messiah Yeshua is I AM that I AM, Adonai (My LORD). He is Yah, El Elohay Y’Israel (The mighty GOD of Israel). He is El Shaddai (GOD Almighty). He is Rahum (merciful), Elyon (The Most High), Shaddai (The Mighty One). Messiah Yeshua Whose Name is Holy is The Holy One, The Supreme King of Kings. He is Ribbono shel olam (Master of the universe). He is omnipresent, omnipotent, omniscient, and omnificent. That is, Messiah Yeshua fills Heaven and earth by His Spirit. He is present everywhere. He has infinite, unlimited power. He has unlimited knowledge and understanding. And He has unlimited powers of Creation. Messiah Yeshua is Ha Rahaman (The All Merciful). He is The Shekhinah (The Divine Presence). Messiah is Wonderful and He is our Counselor. He is The GOD of Hosts, The King of the Jews, the Lawgiver, The Lamb of GOD. He is Life, and He is Yehovah Tsidkaynu (The LORD our righteousness). He is The Messiah, The Redeemer, The Rock, The Stone that the builders rejected that has become the Chief Cornerstone. Messiah Yeshua is The Root of David, The Glory of GOD, The Angel of The LORD Who appeared to Moses in a flame of fire out of the midst of a bush. Messiah Yeshua is The Angel Who went before the Children of Israel to lead them to the Promised Land, The Land of Israel. Messiah Yeshua is The Savior, The Son of David, The Son of GOD, The Son of Man. He is The Word, The Eternal GOD, The Holy One of Jacob, The Living GOD. Messiah Yeshua is The LORD in the coming Day of The LORD Who will return from Heaven and destroy all the enemies of Israel and He will destroy all the enemies of the Jewish people and set up His Messianic Kingdom in Israel for 1,000 years, and Messiah Yeshua will be King over all the earth. Messiah Yeshua is Jehovah-Jirah (The LORD will provide). He is Jehovah-Nissi (The LORD my Banner). He is Jehovah Shammah (The LORD is There). Yeshua The Messiah is absolutely, utterly, and in every respect GOD Almighty, The ONE GOD of Creation by Whom we have received Atonement, the forgiveness of all our sins. Messiah Yeshua is ELOHIM. And He is so much more, and so mighty. He is The MIGHTY GOD, The ONE LORD. There is ONLY ONE GOD, and Yeshua The Messiah is that ONE GOD, ELOHIM. The LORD GOD, ELOHIM is Yeshua The Messiah, THE ALMIGHTY. 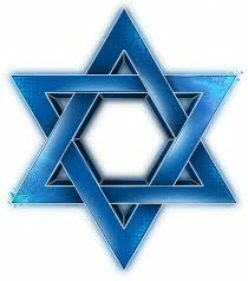 Some in Judaism see GOD’S Hebrew Name ELOHIM, the plural for GOD, to mean His attributes of justice as Ruler, Lawgiver and Judge of the world. That is inconsistent with Scripture and wrong. ELOHIM is GOD Who is The Father, The Messiah, The Spirit, The Holy Spirit and so much more. Much of Christianity view the Hebrew word ELOHIM as the trinity of three distinct and different persons, or three distinct and different gods in one God. The Father, The Son, and The Spirit being distinct, different, and separate gods, or separate persons in the GODHEAD. Also inconsistent with The Bible and in opposition to the spoken Word of GOD. I understand that the trinity was invented by man sometime around 350 AD. The Spirit, and The Holy Spirit, The Mighty GOD and The Everlasting Father are GOD, ELOHIM. And ELOHIM is YESHUA THE MESSIAH, THE ONE GOD. VERSE 8 And I heard the Voice of The LORD saying, Who will go for US? US is ELOHIM. GENESIS 19.24 Two are called LORD, YEHOVAH in the event that destroyed Sodom and Gomorah. The LORD in Heaven, and The LORD on earth. Yet there is ONLY ONE LORD. The secret things of GOD are many. And ELOHIM is difficult to comprehend. But what simplifies ELOHIM, GOD, MEANING GODS, is knowing there is ONLY ONE GOD. GOD The Messiah Who is ELOHIM is anointed by GOD Who is ELOHIM. And both are The ONE GOD. The teaching of the plurality of GOD is taught throughout The Bible, and it is important for us to believe and understand that there is ONLY ONE GOD, and The LORD IS GOD, and The LORD IS YESHUA THE MESSIAH. The LORD, Who is YEHOVAH, or JEHOVAH, or YAHWEY is written in The Bible from Genesis through Revelation some 7,750 times. And MESSIAH YESHUA is The LORD, THE ONE GOD of Creation. And, as we started our study, we conclude it. ELOHIM IS YESHUA THE MESSIAH, The LORD GOD ALMIGHTY, THE ONE LORD. Posted on January 18, 2015 March 24, 2015 Categories Shabbat MessageLeave a comment on ELOHIM IS YESHUA THE MESSIAH, THE LORD GOD ALMIGHTY, THE ONE LORD. YESHUA THE MESSIAH IS OUR ATONEMENT THAT WAS FULFILLED ACCORDING TO THE LAW OF THE SACRIFICE BY A STATUTE FOREVER. Shalom. Our teaching this morning from The Torah, The Law of Moses, is from Leviticus 7.31-38. And the Title of our Study is, YESHUA THE MESSIAH IS OUR ATONEMENT THAT WAS FULFILLED ACCORDING TO THE LAW OF THE SACRIFICE BY A STATUTE FOREVER. And with that said, let’s read Leviticus 7.31-38. 7.31-34 The Priests ate the breast and the right shoulder of the animal sacrifices that were peace offerings from the Children of Israel that were offered to The LORD for thanksgiving and praise. This is a statute forever from among the Children of Israel. 7.37-38 This is the law of the burnt offering that is a sweet aroma to The LORD, and the grain offering that is also a sweet aroma to The LORD. And the sin offering and the trespass offering that were offered to The LORD for atonement for the Children of Israel. And of the consecrations when the Priests were dedicated to The LORD to minister to Him in the Tabernacle and the Temple. And the peace offerings that were offered to The LORD for thanksgiving and praise. This is what The LORD commanded Moses in Mt. Sinai in the day that He commanded the Children of Israel to offer their sacrifice offerings to The LORD in the wilderness of Sinai. Last week, our study dealt with Messiah Yeshua’s resurrection being fulfilled in the law of the animal sacrifice. In addition to Messiah’s resurrection, His death and shed blood for the purpose of our atonement, His ascension into Heaven and His future return are all fulfilled in GOD’S law of the animal sacrifice. Also, to meet the requirements to be our sacrifice, Messiah had to be perfect and Jewish from the Children of Israel. Being GOD Almighty in the flesh, Messiah Yeshua fulfilled those laws perfectly. As is well known, the majority of Jewish people reject Messiah Yeshua as their promised Messiah. They also reject the truth of Scripture that Messiah Yeshua is Elohim, GOD Almighty. Reform Judaism rejects the concept of a personal Messiah substituting the conviction that humankind was moving toward a Messianic era of perfect peace and justice. Conservative Judaism has adopted the concept of a Messianic period to be achieved without supernatural intervention. Chabad (Lubavitch) Hasidim Judaism has attracted attention in recent years for its explicit expectation of the imminent advent of The Messiah suggesting that the Messiah may be their leader, Rabbi Menahem Schneerson who died in 1994. But all deny and reject Yeshua Ha Mashiakh, Yeshua The Messiah. Genesis 49.18 reads in Hebrew, L’YESHUAT’KHA K’VEETEE YEHOVAH. I have waited for your Salvation, (Your Yeshua), O LORD. But much of Judaism rejects Jesus. And Jesus is an invented name for The Messiah. Messiah’s Hebrew Name is Yeshua meaning Salvation, Deliverance, Victory, Save, Aid, Help, Prosperity, and Health. Much of Judaism rejects Yeshua The Messiah because we are brought up to reject Him. Because of Jewish teachings, and the Rabbis, and the Jewish philosophers, and scholars, and sages, and the Rabbis during Talmudic times from 200 to 500 C.E. who deny Him. And add to that the atrocities that Christians have committed against Jewish people since the early days of Christianity killing millions of Jewish people. Thus Judaism teaches that Messiah Yeshua is not our Messiah. That He is not GOD nor is He our Atonement, denying us the forgiveness of our sins. A serious mistake in the eyes of The LORD our GOD. And today, since there is no Temple in Jerusalem because the Romans destroyed it in 70 C.E. 1,945 years ago, there is no animal sacrifice for atonement. But The GOD of Jacob is merciful and good. He provided Himself to His Jewish People in the Person of their Messiah Yeshua to be our Atonement by His death and shed blood some 37 years BEFORE the Temple was destroyed. See GENESIS 22.8. Which brings us to the laws of the animal sacrifice that are fulfilled in The Messiah Yeshua. As having atonement through the shed blood of sacrificed animals, GOD required obedience to His Torah, His Laws that are written in The Law of Moses. So is atonement through the death and shed blood of The Messiah Yeshua. GOD requires obedience to His Laws that are written in The Law of Moses. That never changes, nor does it end. GOD commanded Adam to obey Him. And he did not and Adam died. GOD commands us to obey Him that we will not die but live. Messiah tells us that He did not come to destroy The Law or The Prophets. He came to fulfill them. Matthew 5.17. He came to complete The Law and The Prophets by His coming as prophesied in The Law and The Prophets. And He came to fulfill The Law and The Prophets by giving His Life to be our Atonement that we may remain written in GOD’S Book of Life to spend eternity with Him in Heaven forever and ever. Posted on January 11, 2015 March 24, 2015 Categories Shabbat MessageLeave a comment on YESHUA THE MESSIAH IS OUR ATONEMENT THAT WAS FULFILLED ACCORDING TO THE LAW OF THE SACRIFICE BY A STATUTE FOREVER. MESSIAH’S RESURRECTION WAS FULFILLED AS PROPHESIED IN SACRIFICED ANIMALS DURING TABERNACLE AND TEMPLE TIMES. Shalom. Our study this morning will continue in The Torah, GOD’S Laws for mankind that are written in The Law of Moses. The verses of study will be from Leviticus 7.28-30, and the title of our message is, Messiah’s Resurrection Was Fulfilled As Prophesied In Sacrificed Animals During Tabernacle And Temple Times. So with that said, let’s read Leviticus 7.28-30. The sacrifice of peace offering was a voluntary offering by any individual for giving thanks to The LORD, and praising His Holy Name. 7.30 The breast of the animal sacrificed for a peace offering, or as some in Judaism call this sacrifice, the sacrifice of well being, the breast of the peace offering was waved before The LORD. And as certain Rabbis teach, the breast of the sacrifice was elevated as an elevated offering before The LORD. The meaning of these words, wave offering and elevation offering in Hebrew is quite simple and straight forward. Both wave offering and elevation offering in Hebrew is T’ROO’FAH meaning to wave or elevate, to be lifted up and lowered. Thus the wave offering to The LORD was waved and elevated, and lifted up and lowered. Certain Rabbis say that the wave offerings, or the elevation offerings were waved in all four directions, and then lifted up and lowered. These motions, they say, signify that GOD controls existence everywhere in all four directions as well as above and below. In the days of the animal sacrifice, the breast and the right shoulder of the sin offering that made atonement for the Priest and the Children of Israel were waved before The LORD. Again, the prediction of Messiah’s resurrection, His being raised up into Heaven, and His future return. LEVITICUS 9.1-24, focusing on verse 21. Messiah held His Passover Seder or Last Supper on Wednesday evening, the evening of Passover. The following day on Thursday He was killed. He was in the grave one day and one night. Friday He was in the grave. Two days and two nights. Saturday He was in the grave. Three days and three nights in the heart of the earth. Thus Messiah’s resurrection fulfilled Leviticus 23.11 that He would raise the day after the Saturday Sabbath on Sunday. Messiah Yeshua fulfills all the prophesies of the animal sacrifices. The lively hope by Messiah’s resurrection is our promised resurrection to an inheritance that is incorruptible, that never fades away. That is to say, our inheritance from GOD, and we will inherit all things, is everlasting, indestructible, that will never decay or end. And our inheritance from The LORD our GOD is reserved in Heaven for us. And The LORD our GOD, The ALMIGHTY is Yeshua The Messiah. Peter also writes that we are kept by the power of GOD through faith unto Salvation. Faith is belief in Messiah Yeshua, together with our obedience to His Torah, The Law of Moses. Salvation is deliverance from this earth to eternal life in The Millennium and in Heaven. And Israel will be like the Garden of Eden during the 1,000 year Age of Peace, the 1,000 year Millennium. And Israel’s God-given borders will extend to the Euphrates River. And after the 1,000 years, life will continue forever in Heaven to an inheritance incorruptible and undefiled that never fades away. Thus the sacrificed Lamb, Yeshua The Messiah, The ALMIGHTY GOD, gave His Life to be our Atonement. He rose from the dead, and forty days later He ascended into Heaven so we can live in newness of Life, and inherit an inheritance reserved for us in Heaven that is incorruptible, eternal, that will never fade away where we will reign forever and ever as Kings. Posted on January 4, 2015 March 24, 2015 Categories Shabbat MessageLeave a comment on MESSIAH’S RESURRECTION WAS FULFILLED AS PROPHESIED IN SACRIFICED ANIMALS DURING TABERNACLE AND TEMPLE TIMES.